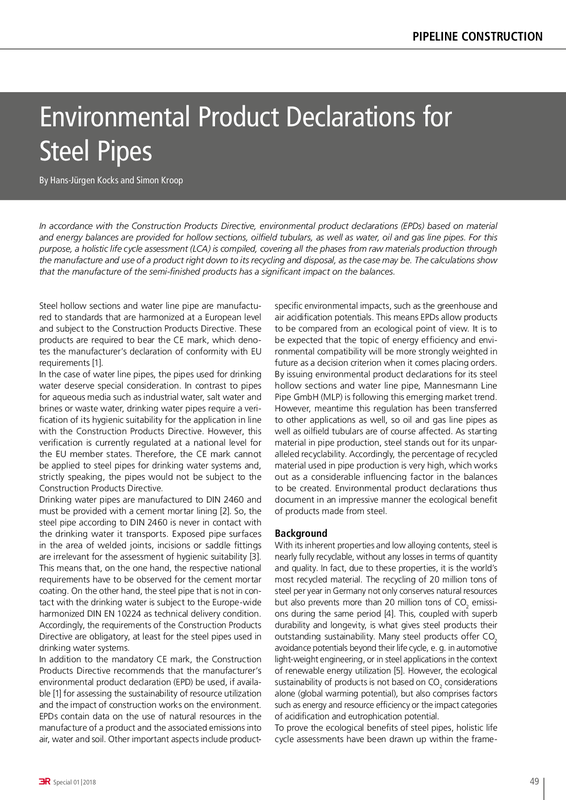 In accordance with the Construction Products Directive, environmental product declarations (EPDs) based on material and energy balances are provided for hollow sections, oilfield tubulars, as well as water, oil and gas line pipes. For this purpose, a holistic life cycle assessment (LCA) is compiled, covering all the phases from raw materials production through the manufacture and use of a product right down to its recycling and disposal, as the case may be. The calculations show that the manufacture of the semi-finished products has a significant impact on the balances.